Abigail Toll and Maya Shenfeld are the first two mentees of Amplify Berlin, our new creative development program for emerging artists. Together with their mentor Caterina Barbieri they developed their live set which they will present this Thursday on the occasion of the first Amplify showcase in the Club. We proudly present you one track Abigail has worked on this month and a short Q&A with her about her time at ACUD. Read the Q&A with Maya here. Ionian Death Robes take their cue from atmospheric, doom-inspired soundscapes. 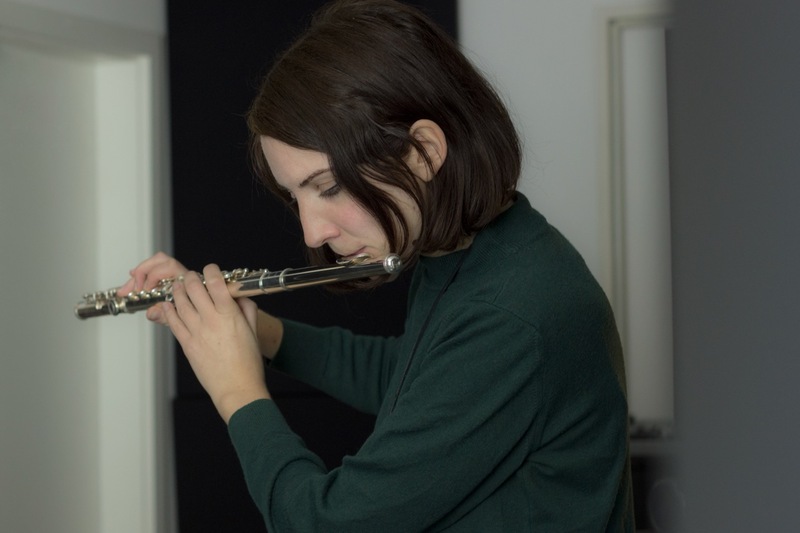 The project is a collaboration between Berlin based flautist Abigail Toll (UK) and Utrecht based violinist Laury Achten (NL) which began in 2016. Owing to their geographical distance, the live shows often assume various solo and collaborative formats that draw on the dialogue between the discordant distressing of the classical instruments and confessional chanting. Ionian Death Robes are set to complete their first EP titled ‘old world | new ruiins’ later this year. Hi Abigail, thanks much for your time. Could you tell us what your expectations were when you applied for Amplify Berlin? Would you say these expectations were met? I applied for Amplify because I was looking for a residency that specifically supported new and emerging artists, so the timing of the programme was perfect. Considering how amazing the mentors are, my expectations were already high. 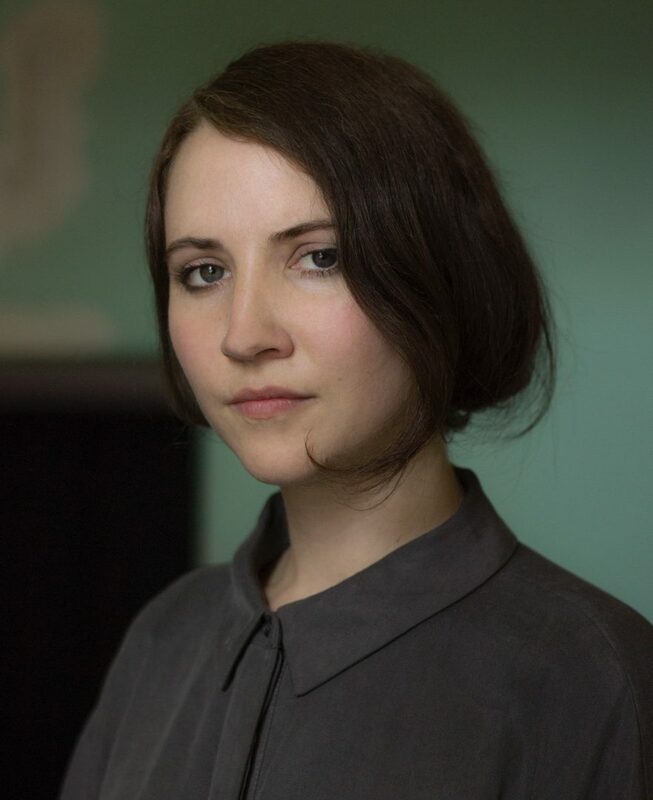 I was kind of shocked that Caterina – an artist who is known predominantly for playing modular synth – selected Ionian Death Robes which is a combination of raw drones and somewhat discordant violin and flute. Though it later made sense when learning of her formal training as a classical guitarist. The residency has far exceeded my expectations and has been an amazing experience. I would recommend it to any emerging musician who is struggling to define a certain aspect of their practice or project and is in need of guidance. I’ve learned something new in every one of Caterina’s sessions and am always so impressed by how focussed and productive they are. She taught me how to use Ableton for mixing tracks and also helped me to develop a live set that can accommodate different formats. This is super important since my collaborator Laury Achten lives in Utrecht, so the distance means that we aren’t always able to play together. One of the many highlights was working with Caterina to develop a modular synth drone for one of our tracks called ‘Hallows’ that also features in the live set. It was exactly the heavy, cavernous noise that the song needed to reach a level of intensity and was exciting to see the mechanisms behind the synth. How was working with a mentor? Working with a mentor was invaluable. I’ve never studied music or had any proper training in composition, so feel very fortunate to have learned some vital production skills and advice from someone that I hugely respect. Caterina, Shub and Phillip were always incredibly accommodating and supportive and ensured that I was fully equipped for whichever aspect it was that I was working on each week. I now feel that I have the knowledge and structure that Ionian Death Robes needs to perform live and expand into more of an electronic sound. A combination of gloomy, noisy drones and despairing flute 😀 There are some lighter moments of relief too, during more sparse flute solos. It’s a shame that Laury won’t be able to play live violin for the first show, however we’ve managed to weave some of her passages into the set… so she’s there in spirit. I’m hoping to line up more live shows, both as duo and solo performances. We’ve also been working on an EP titled “old world new ruins” and are aiming to release that at the end of the year.